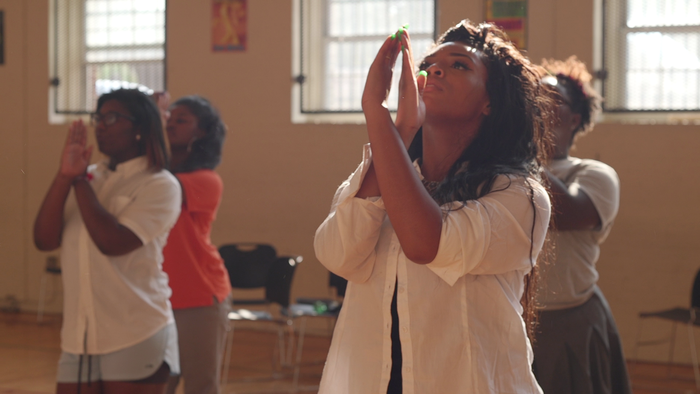 Step chronicles the senior year of a girls’ high-school step dance team against the background of inner-city Baltimore. As each one tries to become the first in their families to attend college, the girls strive to make their dancing a success against the backdrop of social unrest in the troubled city. Called “Hoop Dreams for the social media generation” (Variety) and “emotionally involving” and “a great story of adversity, struggle and elevating achievement” (The Hollywood Reporter), Step received a Special Jury Award for Inspirational Filmmaking at this year’s Sundance Film Festival, where it was this year’s definitive crowd-pleaser. Courtesy of Fox Searchlight. Amanda Lipitz is a Tony Award–winning producer whose Broadway credits include Dirty Rotten Scoundrels, Legally Blonde, The Performers, A View From the Bridge, and The Humans. She was also executive producer and creator for MTV’s Legally Blonde the Musical: The Search for Elle Woods. Lipitz received a BFA in theatre from NYU's Tisch School of the Arts and is now on the Board of Trustees at the university. STEP is her feature directorial debut.